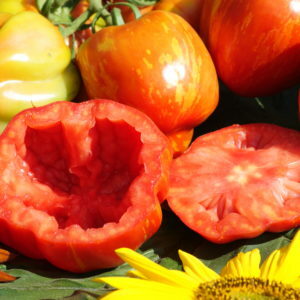 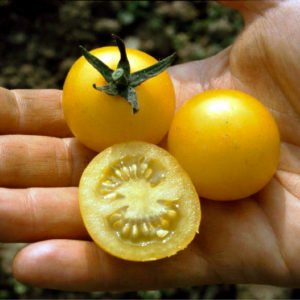 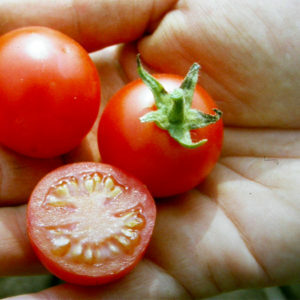 Salad tomato with a slightly spicy aroma. 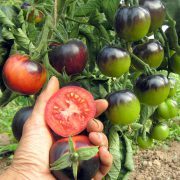 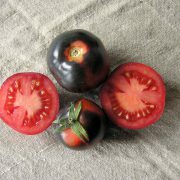 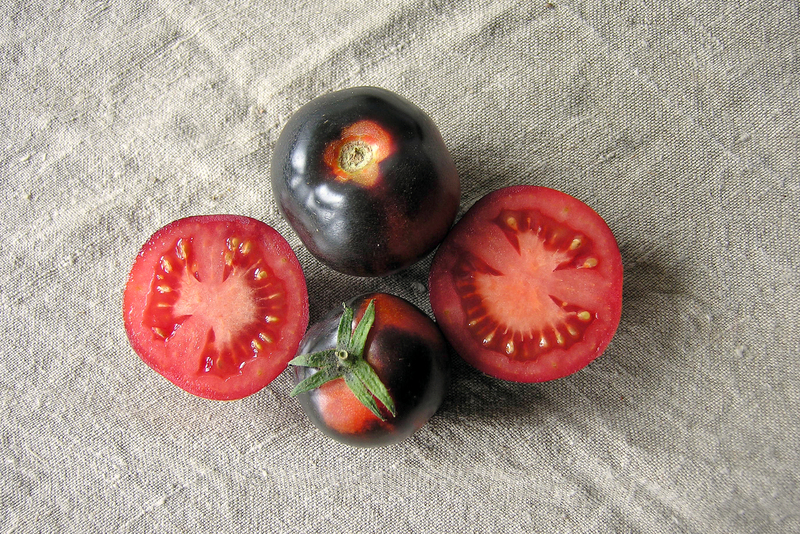 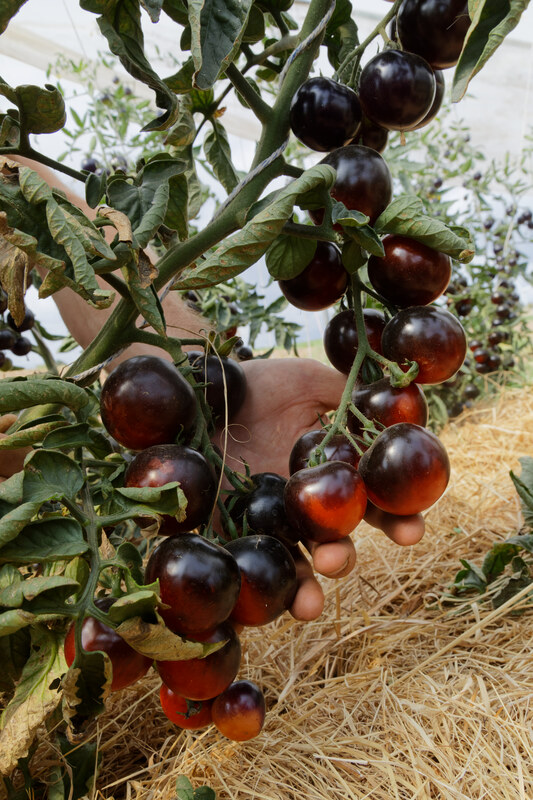 Fruit turn a spectacular black early on in their growth, with an added dark purple blush upon ripening. 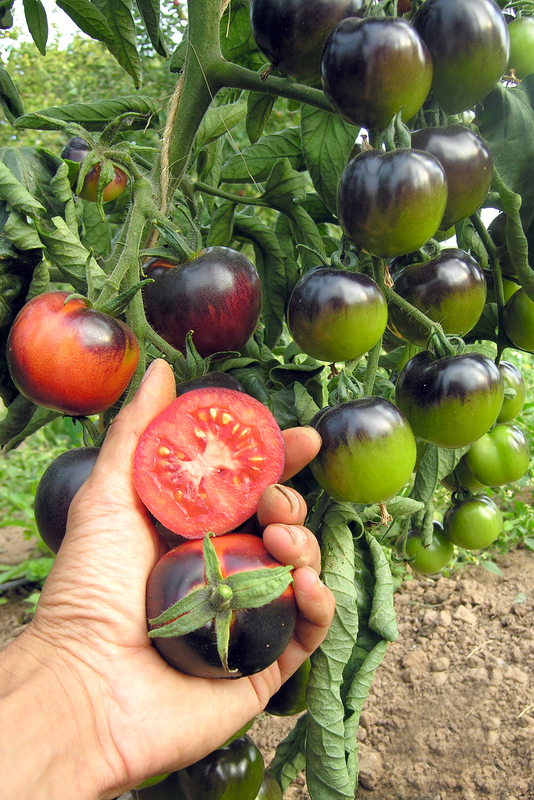 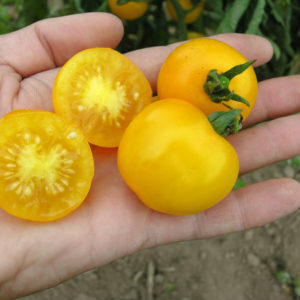 Good yields at late ripening.